If you ever find the site useful and are earning decent/great amount of money, consider supporting the monthly maintenance fees for the site (currently at USD $5 monthly for web hosting). Let me know through the contact form in the About page or Twitter if you want to support me through other methods (like Patreon, Ko-fi, etc). 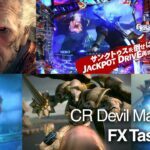 CR Devil May Cry 4 – FX Tasks ListMy last project as an FX artist which is CR Devil May Cry 4 pachislot before I embarked my journey as a Python developer for financial technology industry! Upcoming Plan for Q4 2018Expecting another Nuke Tips? Nope this is the upcoming plan for Q4 2018 for this website. Nuke Tips – Retrieve File Path List for Read NodesUse the power of Python to retrieve the file path list for every Read nodes in Nuke. Very idiot-proof step-by-step included. Nuke Tips – Clamp NodeThe Clamp Node is a relatively simple yet powerful node in controlling the min/max values of your compositing process. Read on to learn the usefulness of it in your everyday Nuke compositing. 07 December 2018 – Server upgrade to the latest Ubuntu LTS and various minor bugfix on the backend. Also the site should be snappier since it is on a fresh environment versus the initial 2014 deployment! 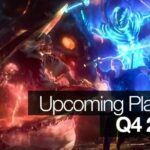 23 November 2018 – My write up on the FX tasks that I’ve worked on for CR Devil May Cry 4 pachislot is ready to be Devil Trigger! 26 October 2018 – As Crayon Syntax Highlighter plugin has various compatibility issue with the latest WordPress, I’m slowly updating every posts that has code to use Enlighter syntax highlighter. 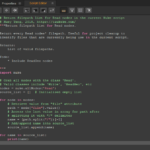 Expect plain looking code for majority of the posts until I’m done with it! 11 August 2018 – Server housekeeping and maintenance because bugs! 23 June 2018 – Clamouring for clamping values in Nuke? This Nuke Tips covers the usage of the Clamp Node. 31 May 2018 – Bookmarks? Favourites/Favorites? Why not bookmarking nodes in Nuke in this Nuke Tips! 20 May 2018 – Interested in reading up my Houdini learning process for Project DQ? Be warned it is a lengthy 2049 words and screenshots galore! 16 April 2018 – Still not feeling the blur from previous blurry Nuke Tips? This Nuke Tips explore the difference between Kronos, MotionBlur, Oflow and VectorBlur nodes when adding post motion blur! 12 April 2018 – My very first Houdini FX Reel is up on Vimeo! 31 March 2018 – Feeling blur? Matching Houdini’s Mantra motion blur with Vray Motion Blur from 3ds Max should sharpen your mind in this month’s Houdini Tips! 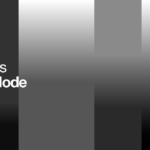 26 February 2018 – Use Hide Node Input to play hide and seek in Nuke’s node graph! 20 January 2018 – Time to normalize depth pass in Nuke! Wait should it be normalise? Which one is more normal? 04 January 2018 – The very first Houdini Tips is up aka how to fetch and blend attributes from imported camera.